Want to find the best VPN? Our unbiased comparison tool lets you see all the best providers in one place. Read reviews, compare VPNs and find the one that's right for you. If you’re looking for a VPN service that provides some of the best privacy and security features around, VyperVPN is an excellent choice -- though you must splurge on Premium for more connected devices and their obfuscated protocol Chameleon. Despite its hefty price tag, Perfect Privacy is a great option for those seeking a high level of security and anonymity. However, if you’re looking for a simpler or cheaper option, there are better services available. With their emphasis on privacy, Mullvad offers rock-solid security with a few compromises -- namely price and transfer speeds. 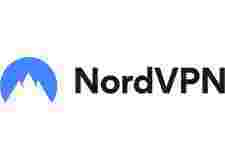 If you’re looking for a flexible, capable VPN service -- and don’t mind signing up for a year or two at a time -- NordVPN is an excellent value that competes with the best VPNs on the market. From protecting your online privacy to streaming your favorite foreign shows, a VPN service is essential to the modern Internet. But with hundreds of VPNs to choose from, how do you know which one is right for you? This guide will help lead you through the most important considerations when choosing a VPN. 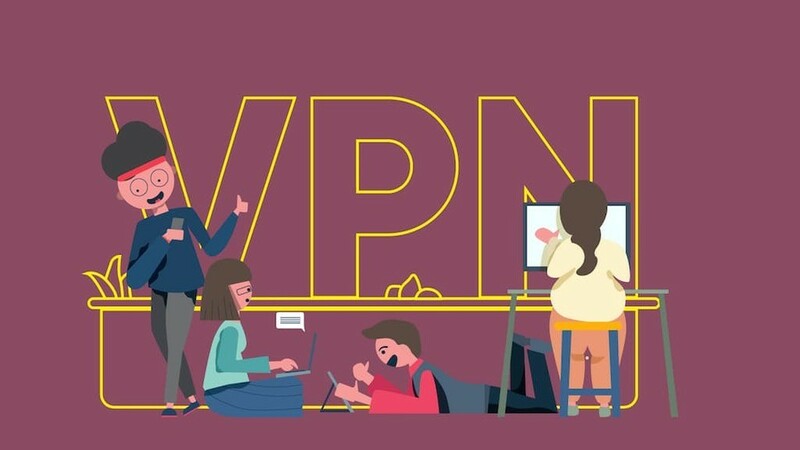 VPN stands for “virtual private network” -- a technology that secures your internet connection and helps ensure the data you’re sending and receiving is encrypted, anonymous, and safe from prying eyes. It's Virtual because while the connection makes it appear that you're connected to another physical network, you're simply routing your traffic using software through another network or computer. It's Private because anything routed through the network -- including the sites you visit, emails you send, or files you downloads -- is encrypted and only visible to you and the site you are visiting or service you're using. It's a Network because each encrypted connection uses a set of servers located around the world providing you with multiple options to secure your traffic based on where you'd like it to appear you are visiting from. Technically speaking, a VPN redirects your Internet connection through a private network -- instead of using the usual public route provided by your Internet service provider. Think of a VPN like a private tunnel that runs from your door all the way to your destination. While you're in the tunnel, no one can track where you're going or what you're bringing along with you. To use these private tunnels, you need to sign up for a VPN service and install special software known as a VPN app or client. These apps connect your computer (or smartphone) to the VPN provider's private tunnels (or servers) and provide the keys needed to access them. Once the connection is made, your data is automatically encrypted and allowed to travel privately. As concerns about privacy and personal data continue to make headlines around the world, people are turning to VPNs to protect their data and online activities from hackers, commercial snooping, and government monitoring. If you connect to the Internet at all -- be it from your mobile device or a PC -- securing your connection with a VPN is likely a worthwhile investment. Whether you're on mobile data, using the Wi-Fi at your favorite coffee shop, or surfing from home, most VPNs have options to connect with any device from virtually any location. VPNs don't just protect your web browsing, they protect email sending and receiving, file transfers, peer-to-peer transfers, and any data that goes out of or comes into your network. Popular streaming services, such as Netflix, BBC iPlayer, USTVNow, and Kodi plug-ins, often limit access to features or content based on your location. With a VPN, you simply switch to a server in the location required and enjoy content with less restrictions. The exact steps involved will depend on the device you are planning to use with your VPN and the service provider your choose. VPNs aren't just for gamers, businesses, or the tech-savvy. Setting up a VPN used to be complicated. These days, most service providers offer dedicated mobile apps and computer applications to help make set up easy. Many also support OpenVPN -- one of the gold standards for manual VPN setup -- or router-based setups that you configure yourself. However, connecting to a VPN using an app is all most people will need. You’ll typically install the app on each device you want to protect and choose a server from the interface. The app handles everything else to keep you secure. A few taps and a few seconds to connect is all that is required. If you have multiple devices and don't feel like installing apps on each of them, you can try a router-based setup if your VPN provider allows. However, this is probably more complicated than the average person really wants to deal with. Expert Tip: Many VPN providers offer free trials that allow you to test how the service works before you spend any money. We list free trial availability and length in our VPN summaries to help you take advantage. Free trial terms will vary by provider. Some might require a credit card or payment method before signing up. If so, remember to cancel service if you do not plan to subscribe or you might be automatically billed at the end of the trial. From the devices you use and how you use them to your budget and security concerns, each factor will impact which services are ideal for you. As with any other service, choosing the right provider is essential to getting the most from your experience. When you're considering routing your most sensitive information through a server, doing the research to find one you can trust is worth it. You certainly don't want to choose the first random option on a list. Reputation is everything with VPN providers. Much like any other service, your best option for finding a reliable service is do to a bit of research and read reviews about the providers. We have our own vpn comparisons and reviews available. But you can also use sites like Reddit to see what others are saying. However, in the end, it's about more than just reviews -- it's also about finding a good fit for your needs. Let's look at some of the most important considerations when choosing a VPN. While a quick Google search is likely to turn up free VPN options, you need to be very careful when choosing a free VPN provider. At best, many are not a good experience. Slow transfer speeds, added pop-ups, or inconsistent connections make them frustrating to use. At worst, free VPNs could be decreasing your security instead of increasing it by serving you malware or logging your data for later resale to third-parties. The whole idea of a VPN is going off the radar. Giving another company permission to track what you do doesn't make sense. The majority of the time, paying for a reputable VPN is worth it! For a recent example of free VPNs farming people's data, check out this report from HackRead. However, if you don't have the budget -- or simply need a VPN in a pinch, a reliable free option is certainly better than nothing. We list two popular options in our recommendations . In most cases though, you can find a reliable VPN service for between $5 and $10 a month -- especially if you're willing to sign up for a year or more of service at a time. In general, you want to have a provider with as many servers as possible. Most good VPN services offer a wide range of servers. However, just because a VPN offers thousands of servers, doesn't mean you'll ever use them all. In reality, you'll probably only switch between servers if you want to change your location or if the connection is weak on your current server. We'd recommend choosing a provider with at least 50 to 100 servers. While bigger numbers might be convenient, they're not a necessity. VPN businesses are subject to any laws in the areas in which they're headquartered. This means they might be required to log information, prevent access to particular types, or otherwise provide information to government officials or other authorities based on local laws and regulations. Knowing the exact requirements is often a bit clouded, but if you're interested in learning more, " Who Are the Five, Nine, and Fourteen Eyes, and What Do They Do? " is an excellent read that lays out common alliances between the intelligence gathering forces and various authorities around the world. Our comparison tool makes it easy to find VPN services based outside the US for those worried about location concerns. The speed concerns are relatively minor but still relevant if you use a provider with a low number of servers. If the servers they have are a long distance from your location, you might notice reduced speeds on your connection and slight delays when loading websites or playing online games. The whole idea behind using a VPN is to keep companies from snooping around in your online activity. So if you use a VPN that logs data about how and when you use your VPN, you're essentially trading one type of monitoring for another. And most VPNs that log usage or traffic are required by law to surrender any data they hold to authorities. That doesn't account for what they might personally do with the logs. If they're selling it to third-parties and can be subpoenaed by the government, you're essentially paying for encryption but no real additional protection as long as you're only using trusted networks to browse the web. In our opinion, this doesn't make any sense. Choosing a zero log provider provides comprehensive protection and most are priced similar to providers that log information. You can find a full list of zero log VPN providers using our comparison tool . These days, it's not uncommon to jump between multiple devices during the day. You might start your morning checking email on your laptop, use your phone on the commute to work, and end the night streaming a movie or reading on your tablet. You want to be able to protect your activity on all of these devices as easily as possible. Signing up for a VPN that allows you to use multiple devices with your service makes it simple. There's no need to sign in and out of the VPN or change settings every time you switch. Having a provider that allows a large number of connections also makes it possible to protect everyone in the family . After all, in many regions, the person who is named on the Internet or phone account is often responsible for the actions of anyone using it. Being able to keep everything connected to your Internet secured through a single VPN account isn't just convenient, it's practical as well. Encryption, on a basic level, is protecting the information you transfer and ensuring that only you and the recipient can read it. There's multiple types of encryption as well as different grades of encryption within the types. In most cases, you want a VPN that offers AES-256 encryption . If using SSL, 2048-bit grade encryption is preferred. Regardless of the type, bigger numbers usually means better protection. If the provider doesn't list the exact types of encryption they use -- or worse still don't encrypt at all -- steer clear . This could be a red flag. Most VPN services will list encryption options by names -- including PPTP, OpenVPN, Tor, L2TP, and a few others. These different names describe how the VPN establishes connections and transports your data. Which protocol will work best for you depends on the hardware you use and any local regulations around how you are allowed use your Internet connection. For the average user, the OpenVPN protocol will cover everything for you. If you use peer-to-peer file sharing programs such as Bittorrent or eMule, support for the SOCKS5 protocol can make setting up connections easier as well. The PTPP and L2TP protocols are both older standards. While most modern operating systems offer built-in support for these protocols, they're not the most secure options available. If your VPN provider only offers these protocols, you might want to steer clear. It could mean their services are out of date or poorly maintained. Looking for the most anonymity? VPNs that use Tor routing add an extra layer of protection to your online adventures. However, this often comes at the cost of speed and isn't compatible with video streaming, file sharing, or other bandwidth-heavy services. In general, protocol support isn't an issue with major VPN providers. Most support all of the protocols listed above and many connect by default using the trusted OpenVPN protocol. However, if you need a specific protocol or have in-depth questions, asking the provider before purchasing is a good idea. If you're using peer-to-peer file sharing programs -- such as BitTorrent, eMule, or Soulseek -- you'll need to be sure that your VPN provider allows file sharing. Support varies by provider. Some providers block it completely. Others will allow peer-to-peer on specific servers or throttle your speeds when using peer-to-peer services. Be sure to check the terms of service and features for a provider to ensure it will work with the services you plan to use. If you're trying to access a site that isn't available in your region, VPNs could be the answer. Many VPN providers offer geo-blocking bypass features that essentially make it appear that you're from the area where a particular service -- such as Netflix -- is available. However, since many video streaming services are aware that people use VPNs to bypass region restrictions, you might find that the feature is unavailable from time to time. VPN providers and content providers are often in a cat-and-mouse game of updating features to one up each other. If either feature is important to you -- and you don't see specific mention that the VPN works with a specific service on their site -- we'd recommend contacting their support before agreeing to service. You can also use our comparison tool to find a range of options that support peer-to-peer tools or Netflix . Looking for better protection? Insist on a kill switch. While the name might sound a little dramatic, choosing a provider with a kill switch option is one of those things that will either be essential to you or something you don't ever use . Though setting the feature up will be different depending on your provider, most kill switches work in a similar way -- if your connection to the VPN drops then Internet access is cut off completely. This means less worry of sending information over an unprotected network. Some providers also allow you to tie the kill switch to specific applications. For example, if you're only worried about keeping your browser or peer-to-peer activity but not worried about when you use Netflix, you can set the kill switch to only work for your browser or peer-to-peer. Just keep in mind that if your connection to the VPN is unstable, your ability to access the Internet will be unstable as well. However, in most cases, this feature is offered by premium providers. So you should find server connections stable and reliable. You can find a full list of VPNs with kill switches using our comparison tool . Even with the best VPN, you'll likely encounter an odd issue from time to time. You also might have questions about how to best use your VPN or change settings. When these moments happen, good support makes all the difference . Be sure to check which types are supported and maybe even give them a call and ask a few basic questions. This means you'll know what to expect and how to get help should you need it. We offer a full list of VPNs with chat support on our comparison tool if you're looking for a provider that offers real-time support from the convenience of your browser. We recommend avoiding companies that only use email support when possible. While they might offer perfectly acceptable service, email support often takes longer to resolve issues. When your privacy and Internet access is on the line, speed is an important thing. Since privacy is a major consideration for choosing a VPN, paying for it with your credit card or bank account might seem counter-intuitive. "In reality, unless a government agency is chasing, nobody is going to subpoena your VPN payment history. Furthermore, if you use a true non-logging VPN service, there is no link between your VPN activity and your personal VPN account anyway. This means that even someone linked you to a specific VPN account, they still wouldn't know what you had been doing while connected to the VPN. That said, you're assuming that the VPN provider is being completely honest about their logging policy. If they were secretly keeping logs or sharing them with another company/agency, your VPN history could theoretically be traced. This isn't likely but is a possibility." While most services will allow you to pay via a prepaid credit card, these still often require activation involving your personal information. To help combat this, many of the best VPN providers have started accepting cryptocurrency -- such as Monero and Bitcoin . There's even a few that will allow you to use gift cards for other businesses, such as Starbucks or McDonalds, to pay for VPN fees. This offers all of the convenience of using a prepaid card without requiring an activation. Anonymous payments keep more than your internet traffic private. Does VPN Use Count on My Bandwidth Allotment from my ISP or Mobile Service Provider? Yes -- just because you're routing data across a different, secure network doesn't mean the data doesn't still use your phone or internet network to either start sending or receive the data. If you use a metered connection, expect VPN traffic to show up in your metered allotment. A good, paid VPN often has little impact on your Internet speeds and won't set limits on how much bandwidth you're allowed to use. However, some will restrict high-bandwidth uses, such as file sharing or hosting servers on your personal computer, to provide the fastest speeds to everyone using their service. If you are experiencing slow downloads or buffering while watching video, switching to a different server often resolves the issue. This is yet another reason why choosing a provider with a large server selection is important. However, when using a smaller or lower-priced provider -- such as the free options in our recommendations -- you might run into speed or bandwidth caps. These are in place to help ensure that everyone sees smooth performance using the VPN. So there's no way to bypass them without upgrading your plan or choosing a different provider entirely. If the VPN you are considering doesn't explicitly say that they offer unlimited usage without throttling, you might want to contact their support to confirm before ordering. This is especially true if you plan to use your VPN with video streaming services or use peer-to-peer file sharing tools--such as BitTorrent. Do VPNs offer Dedicated IP Addresses? Since using a VPN often involves jumping between different servers around the globe, knowing your IP address at a given time can be difficult. By default, the majority of VPN providers use dynamic IPs. However, some paid providers will provide dedicated IPs for an additional fee. In some cases, this can double the cost of annual service. Just keep in mind that connecting from the same IP address every time might reduce the anonymity offered by the VPN should anyone decide to investigate your online activity. Fortunately, for the average user, dynamic IP addresses will work without issues. Any Tips for Saving Money on VPN Service? A quick look at our VPN reviews show a wide range of prices. And with that, a wide range of service levels and features. As with most things, you get what you pay for. Despite this, there's one simple way to save drastically on your VPN service -- spring for the annual plans. If you're going to use a VPN, you probably want one for long-term use anyhow. And most VPN providers offer a substantial discount -- sometimes 50% or more off the price of monthly service -- if you sign up for a year or more. Many also offer free trials or 30-day refund periods to take the risk out of signing up for a long term out of the gate. Can a VPN Help Me Remotely Access My Home Network? While it might seem that a VPN service is perfect for this, the services outlined in this guide actually doe the exact opposite of what you're looking for. Instead of connecting to your home network from somewhere away from your network, these services allow you to a remote network from your home network. That said, you could install a VPN server on a spare computer at home or use special settings on certain routers to accomplish this. But it's not the easiest thing in the world and requires a fast Internet connection at your home to get the best results. So we'd only recommend it if you're comfortable with the software and networking aspects involved. You can find out more about setting up your own VPN server at How To Geek . Are Private VPNs the Same As Corporate VPNs Used for Remote Work? While they use the same technologies, they accomplish different goals. Private VPNs are about securing data, increasing privacy, and providing a level of anonymity. Corporate VPNs are often used to access programs and files on a business network from a remote location -- such as when working from home. Yes, it also secures the traffic used to make the connection. But it's a different way of using it. If I Have Nothing to Hide, Do I Really Need a VPN? While VPNs are often considered a tool to help people hide questionable acts online, there's plenty of reasons for the average person to use a VPN as well. Privacy is of growing importance -- whether you're on your home Internet connection or using public Wi-FI. Browsing the web, downloading files, connecting to websites, and virtually everything you do online results in data trading hands. Even if you have nothing to hide, using a VPN helps to ensure that your personal data stays personal. This depends on your location and local laws. In many countries, VPN use is completely legal and even encouraged. However, in some countries with restricted Internet policies, VPN use is either limited to government-approved VPN providers or illegal altogether. If you travel often, understanding the VPN laws at your destination is important. Just because they're legal in your home country doesn't mean you're immune from trouble should you be found using a VPN in a restricted region. Always consult local regulations before using a VPN service to understand the risks involved. You can also check this list from The Best VPN. Choosing the ideal VPN provider for your needs might seem complex. But by understanding what to look for and what you need, the process is much easier. Be sure to check out our VPN comparison tool . It allows you to filter through the best VPN services available by feature, location, security concerns, and more. We've checked each provider to see what they offer and their prices. Looking for the best VPN service? Browse the expert reviews or check out our recommendations .